If one gets the chance to see Bradley Cooper on stage in what is supposed to be the performance of a lifetime (which is what some people have been telling me) one does not say no to such an opportunity. The Elephant Man tells the story of John Merrick who lived towards the end of the Victorian era and was abandoned by his mother because she was horrified by his disfigurement. Like probably many others I had heard of John Merrick through the well-known David Lynch movie. Unlike in the movie there are no prosthetics, false hunchback or any kind of make-up used in this play to portray the truly unusual appearance of John Merrick. 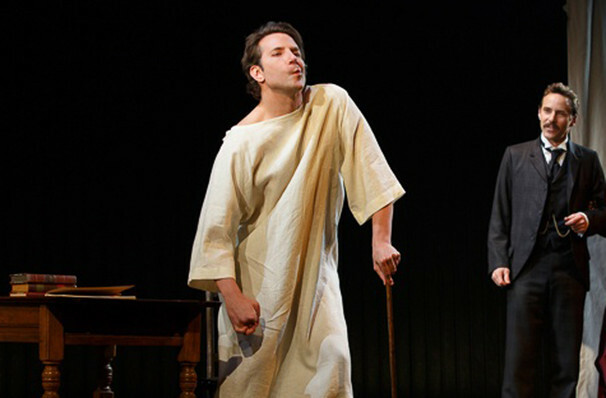 Bradley Cooper becomes the Elephant Man simply by movement and voice. In what I found to be the most impressive scene in the play he transforms himself into John Merrick by twisting his face and body in what must be an almost unbearable pose. And it’s Bradley Cooper that makes this play worth watching. His performance is touching and unshowy and relies on subtleties. 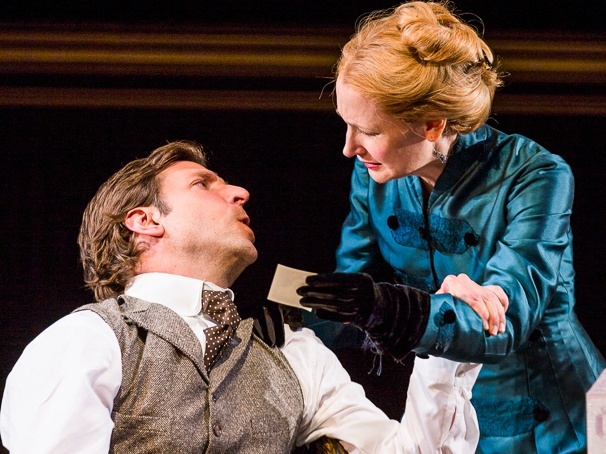 Together with Alessando Nivola as Frederick Treves he carries the play that is let down by a rather weak book and some mediocre supporting performances. Bradley Cooper does a marvelous job in introducing John Merrick’s personality – his interest in people, his desire to be loved and his witty sense of humour. It’s this look into John Merrick’s mind that I enjoyed the most. Seeing the actual man behind the Elephant Man who wants but will never be able to be like everyone else and who discovers everything Frederick Treves introduces him to with an almost childlike curiosity. I was disappointed by Patricia Clarkson’s performance as Mrs. Kendall, the high society actress who befriends Merrick. Instead of being tough and amusing I found her to be stiff and strangely otherworldly. Personally I think this play would have worked better as a 90 minutes piece without interval. Stretching it to one hour and 40 minutes with an interval causes some uncomfortable pauses and kills the dramatic pace. Also it appears the philosophy behind the story is more important than the actual narrative in this production. And while Merrick’s thoughts, feelings and motives are without a doubt interesting a better feel for the plot would have supported the subsequent theorising. The Elephant Man is not a flawless production but it gives Bradley Cooper the chance to prove that he is more than a handsome Hollywood actor. His portrayal of John Merrick is one of the most convincing and thought through performances I have seen on a West End stage. And that alone is worth the ticket price (I do admit I am glad I did not pay the extraordinary premium price though). 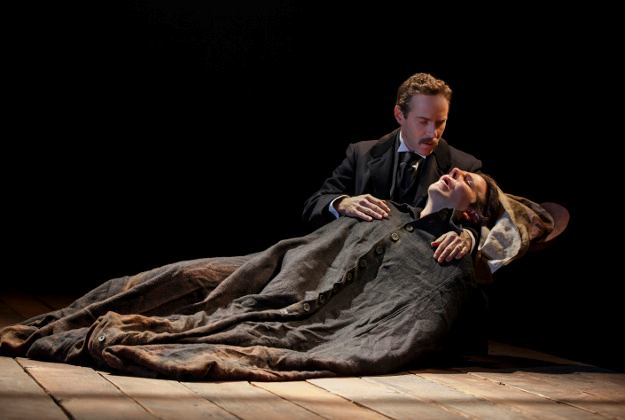 The Elephant Man is playing at the Theatre Royal Haymarket until August 8th 2015. The run is mostly sold out but limited view tickets are available through the box office for some performances. Go to http://www.trh.co.uk/ for more info. ← Guys and Dolls – Strictly limited season at the Savoy Theatre London from 10th December! An excellent and balanced review. When I watched the film for the first time I cried buckets. Does this production pack much emotional punch? Bradley Cooper’s portrayal is really moving but compared to the movie this production lacks emotional depth I think. It’s all down to the lack of proper narrative – I did feel for John Merrick but you get a glimpse of his life before he meets Frederick Treves (little snippets but no proper life story). The play is mainly based around Merrick’s life at the hospital which is obviously the “happier” part of his life. To answer your question: Emotional punch – yes. But mostly due to Cooper’s excellent performance and not because of the material itself.